View content from your laptop on a bigger screen with the Mini DisplayPort to VGA Adapter. When used in conjunction with a VGA cable (sold separately), this adapter connects your laptop to VGA-enabled devices, such as computer monitors and projectors. 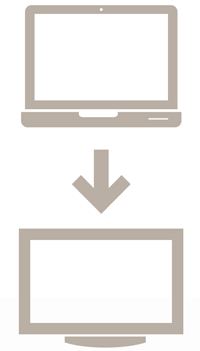 Simply plug the adapter into your laptop's Mini DisplayPort/Thunderbolt™ port, connect a VGA cable, and share your laptop's content with a larger audience. Note: This adapter plugs into the Mini DisplayPort/Thunderbolt™ port found on MacBooks and many Ultrabooks and tablets. Please check your device to confirm compatibility. 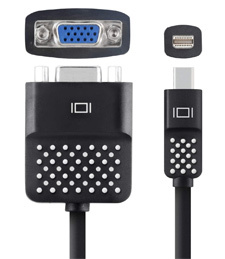 A VGA cable (sold separately) is required for use. The adapter is equipped for video only. 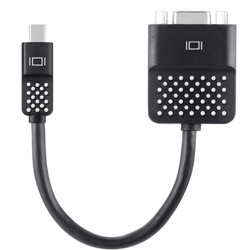 A separate audio cable is required to stream audio. Measuring 5 inches long, the adapter is a pocket-sized, portable accessory for connecting to a monitor or projector. 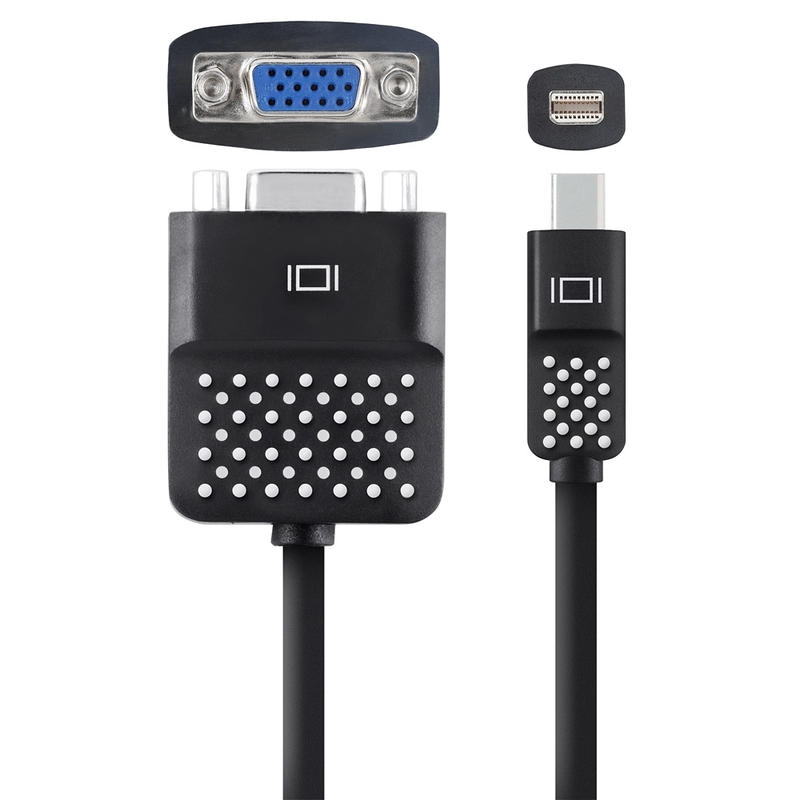 When used with a VGA cable (sold separately), the adapter offers quick plug-and-play capability that is ideal for presentations on the go.